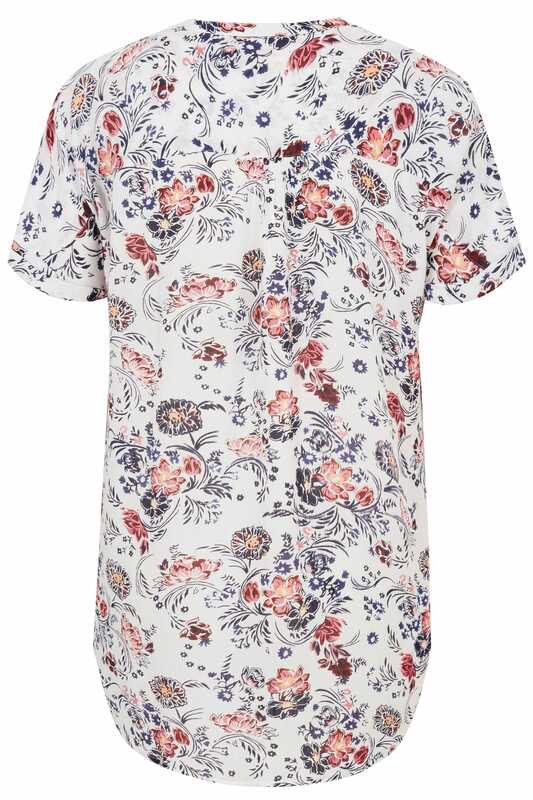 Create effortless style with this chic blouse. 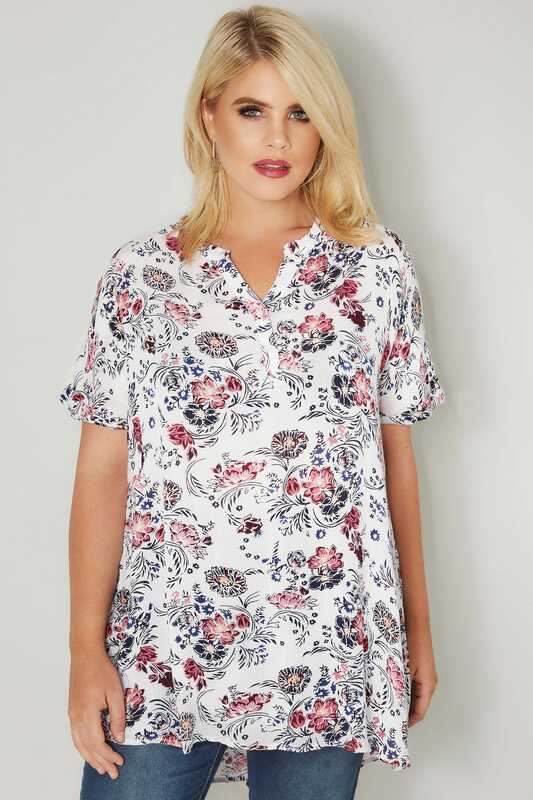 Perfect for off-duty styling, its lightweight fabric is both cool and casual and features grown on sleeves and secure button fastenings. Team with denim and pumps to complete the look. 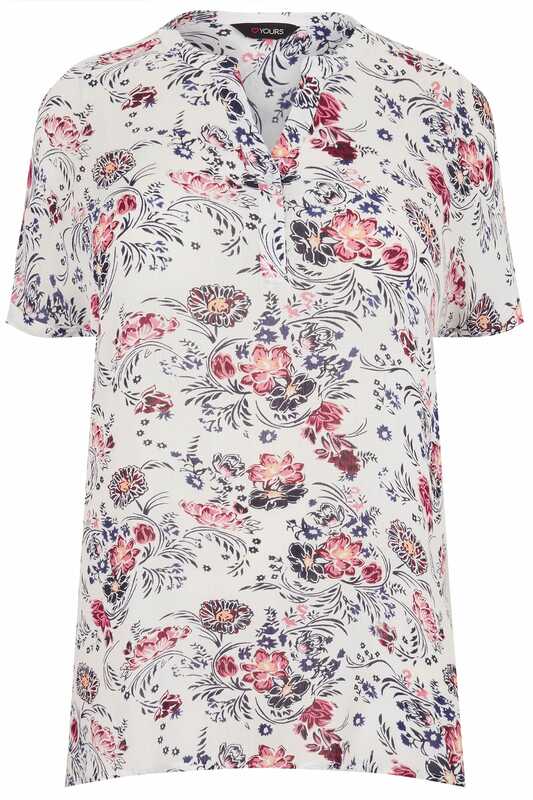 We are loving the elegant floral print with splashes of pink.